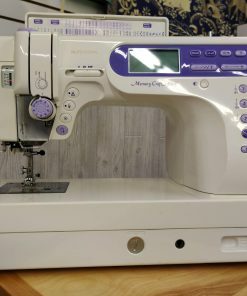 A fully featured machine at an affordable price. 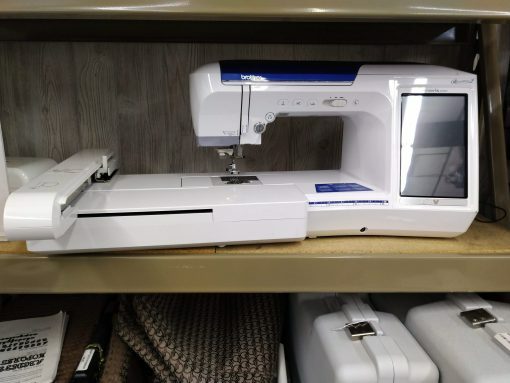 Brother quality shines through on this pre-owned machine that still has many years of crafting and creating ahead of it. The Quattro II boasts a large, full color touch screen with intuitive controls. It can accommodate a large 8″ x 12″ embroidery hoop giving you plenty of room for quilting and large projects. This package also includes a great collection of accessories and quality luggage. We back all our used machines with an in-house 6 month warranty and offer free training. Please contact us for pricing and more details or stop in the store to try it out first hand!